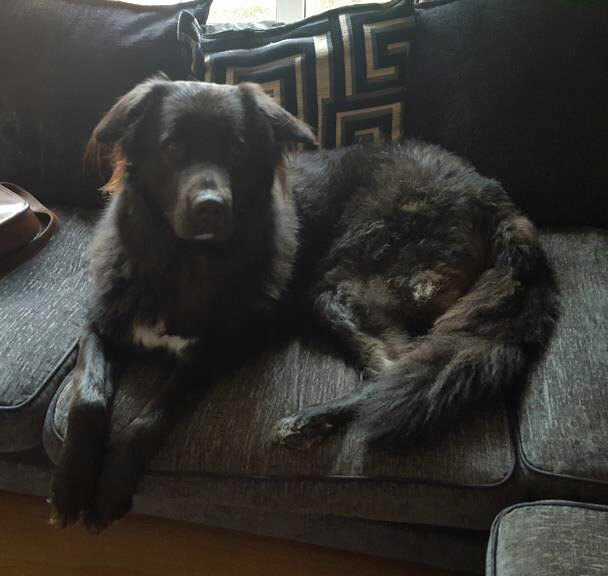 This big boy is Ty who is a 2-year-old GSD cross, he is not neutered. 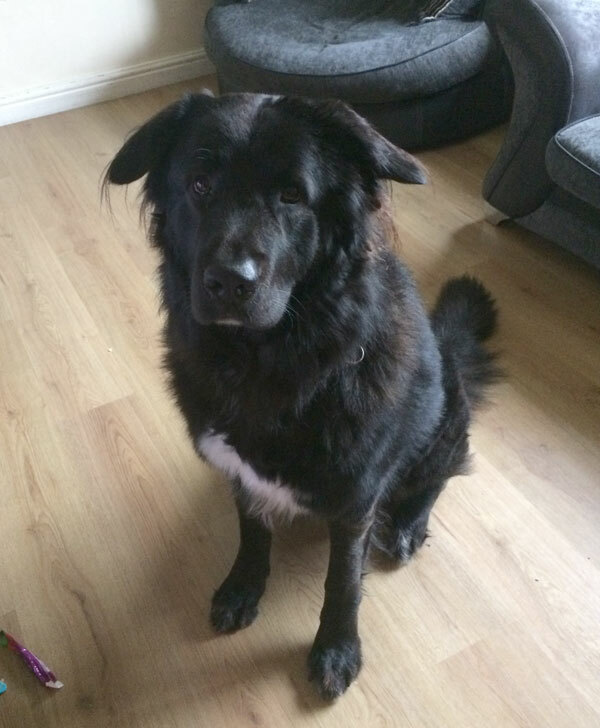 Ty is around 50kg yet is living in a small flat with young children. Ty is big and boisterous and doesn’t take care around the children and knocks them over. His behaviour is becoming a problem with his barking and growling at things he sees out of the window. Ty is fine with fireworks and loud noises. He likes to play with toys but that’s difficult where they are as he likes to toss them around and it can be dangerous for the children. Ty is walked with a Halti as he pulls. The Halti, his (remaining) food, toys and anything else of his can go with him to his new home. Ty barks when he is left according to close neighbours, he just wants company, exercise and mental stimulation. The volunteer ran her hands all over Ty and apart from no muscle tone he seemed in good condition. His coat wasn’t matted apart from a couple of tangles by his ears. He let her look at his teeth and in his ears. When he was being quite playful and she told him to ‘sit’, he did so straight away but then when he jumped back on the settee next to where she was sitting he was trying to get her attention as she was filling in the forms and he started to nibble her arm and coat sleeve. In her opinion she thinks Ty would make someone, or a family, a fabulous friend for life. 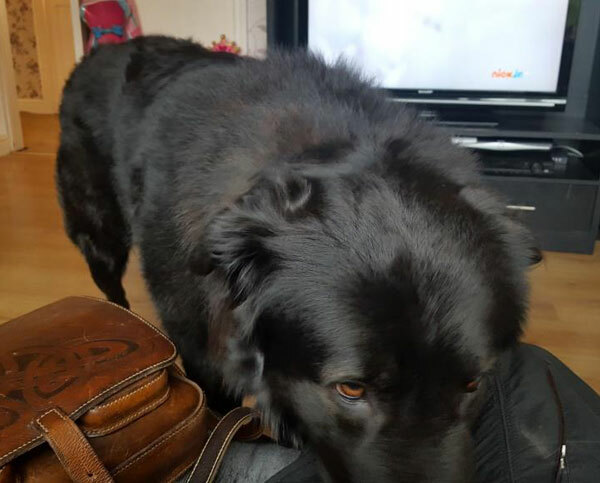 He is a very friendly dog who just wants love and attention. She thinks he is on the brink of turning into a nightmare, basically just because he can! He is going stir crazy! He has no social skills because he’s not been socialised. His owner is lovely but she really has no clue how to train a dog and she readily admits this. Ty has strong guarding instincts and the postman is terrified of him but when our volunteer arrived, the owner calked her up. Ty was at the top of the stairs and he barked at her but was wagging his tail. She went up without hesitating and no eye contact and he was fine. Ty was very excited and was jumping up and mouthing her hand but only very gently. Ty needs someone with time and someone who will put the effort into giving him some proper training and socialise him with other dogs. He has never bitten or chased cats but he is interested in him. 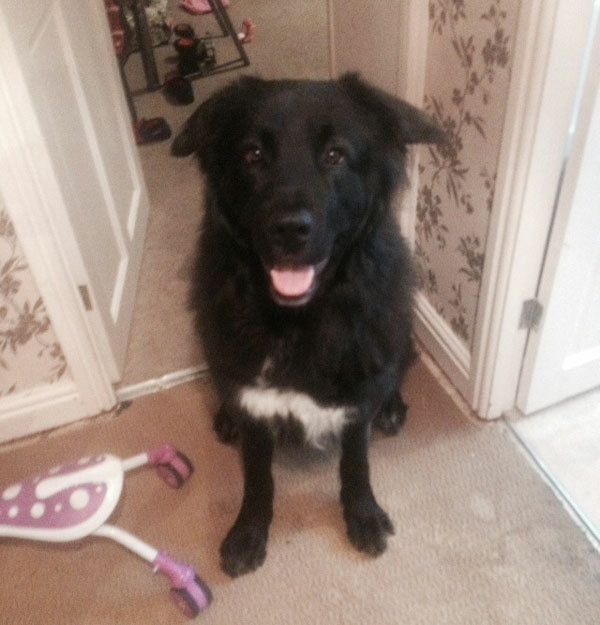 Ty really needs out of this environment as it is totally unsuitable for a dog his size. Can you offer Ty the type of home that he really needs?